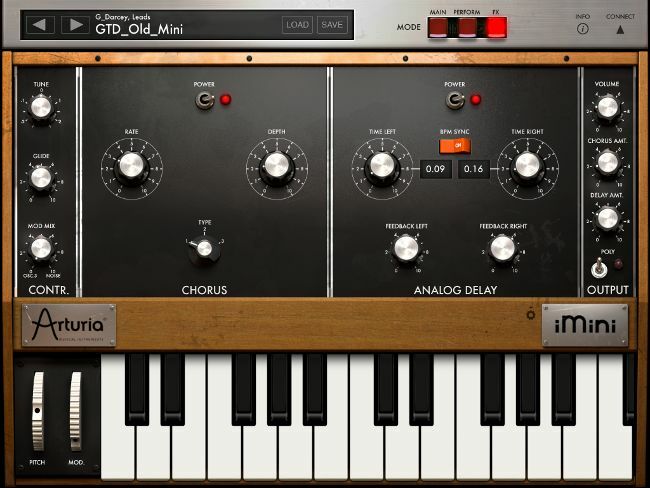 iMini is a recreation of the classic 1971 MiniMg™* synthesizer, one of most iconic synthesziers of all time. 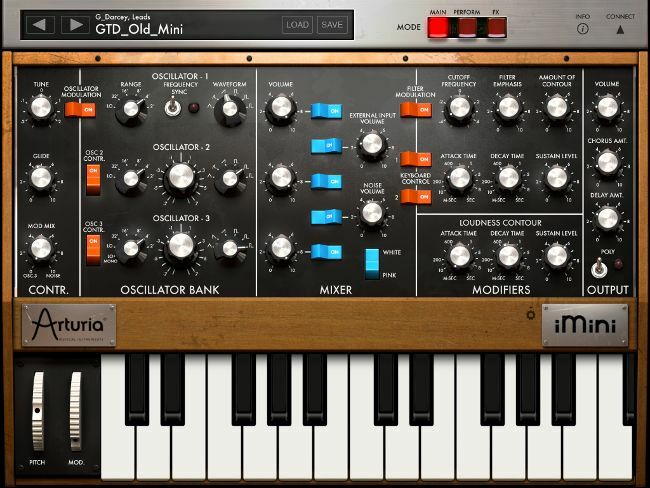 iMini is a recreation of Dr. Bob Moog’s classic 1970 synthesizer, possibly the most famous synthesizer of all time. Based on the TAE® technology found in our award-winning mini V software, iMini offers a level of sound quality never before found on the iPad as well as over 500 sounds by leading sound designers. To support Bob Moog's legacy, we are donating a portion of each sale to the Bob Moog Foundation to support their work in science and music education via Dr. Bob's SoundSchool, their work to preserve, protect and share Bob Moog's archives. iMini provides the familiar interface of its classic namesake, but we didn’t stop there. We added the unique flavor that people have come to expect from Arturia. A viewable keyboard control panel allows you to set octaves, scales, envelope modes and other parameters. The Performance mode gives you access to a multifunction arpeggiator and two assignable XY pads that provide real-time control over your sound. The Effects mode offers a very flexible, high-quality chorus and analog delay. iMini offers full MIDI mapping and supports WIST sync with other iOS devices. Its presets are compatible with our desktop mini V software for Mac and PC, which gives you the ability to work remotely with the iPad and then import your work into your studio DAW to give your music that final polish. 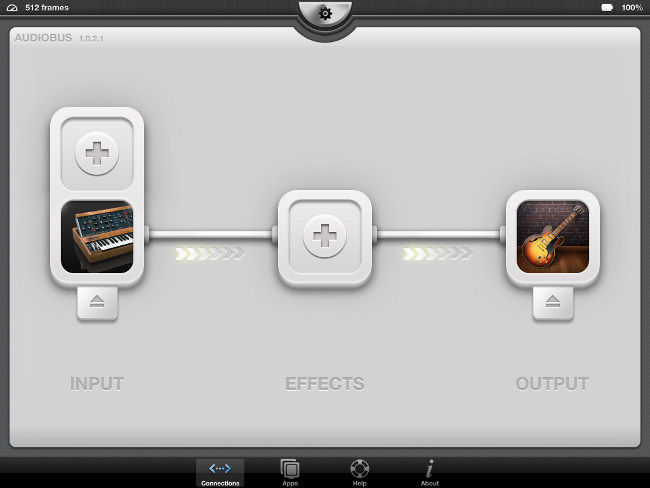 But you don’t have to go outside the iPad® to create killer tracks! 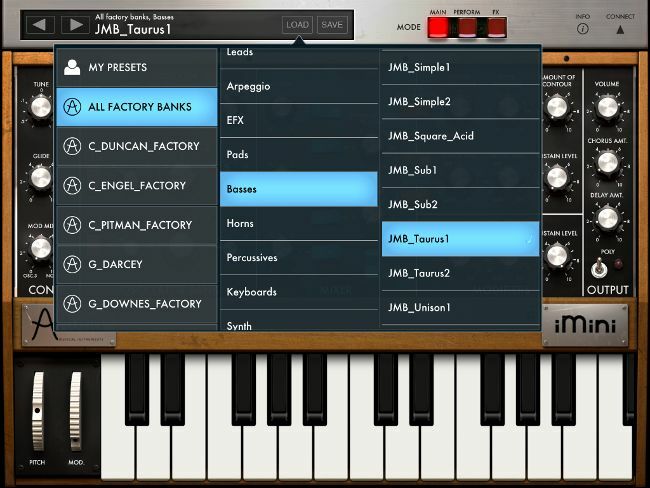 iMini works within Retronyms’ amazing Tabletop™ application, which allows you to integrate iMini within a studio of drum machines, sequencers, mixers and effects, all inside your iPad. 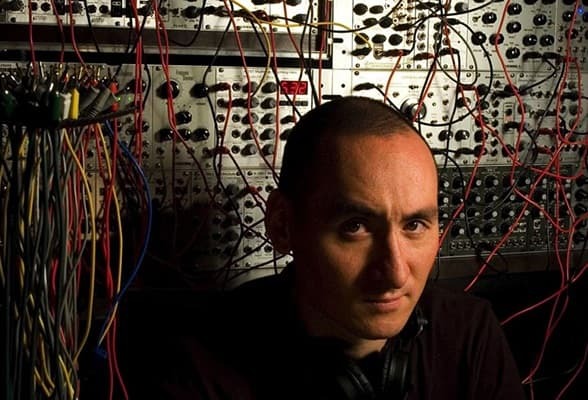 "It not only matches the functionality of the original synth but it goes one further with chorus, delay, and a even polyphonic mode." "Arturia have done a brilliant job with iMini in reproducing the MiniMg feature set, expanding it in very sensible ways to give it a modern edge"
"Easy to use and loaded with great sounds (and interchangeable sounds from desktop to iPad), this is a great app for the mobile musician." 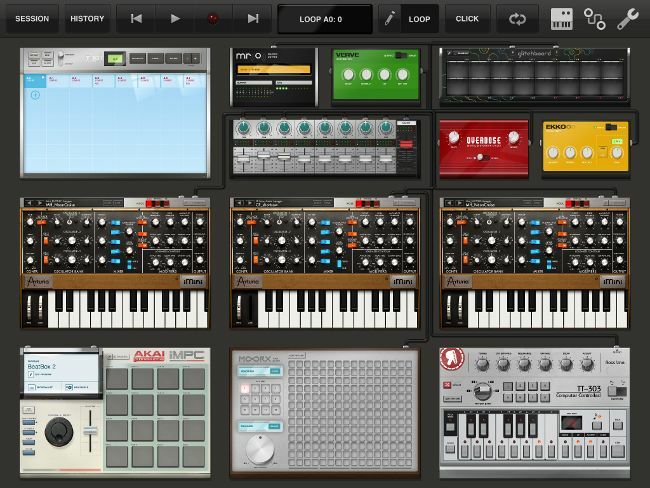 "Arturia and Retronyms have done a superb job bringing this instrument to iOS." 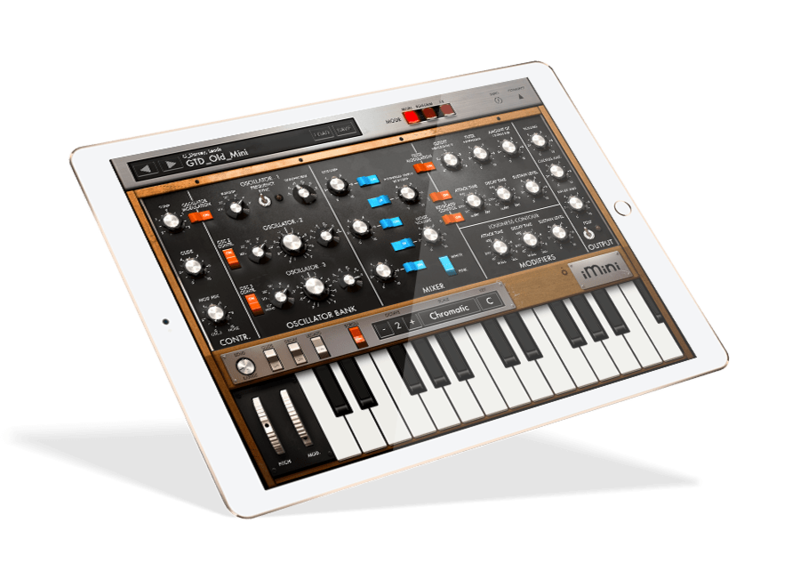 "First impressions of iMini are that it sounds superb, is very easy to use and there’s enough in the way of iOS control to make it supremely playable and tweakable"
"iMini brings the classic sound of the MiniMg to iOS. It sounds great and is not too intimidating to program." 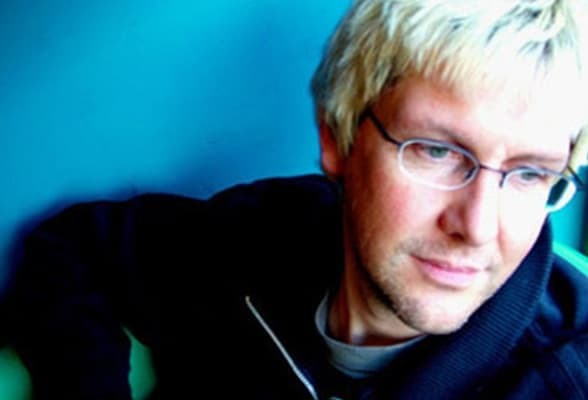 "what Arturia has added is a bonus to the sound overall, which is both right and varied. Superb." "iMini ranks among the big dogs for me if for nothing more than that coveted Mg sound that Arturia has so nicely emulated with their TAE technology"
"So, my rating... A Killer App! (The sound quality is... So fat!)." The iMini turned my iPad into an oldschool analogue bass-monster !!! The sound quality is just irresistibly fat and so close to the original. If you want the typical dirty Mg sound, the iMini is all you'll ever need. 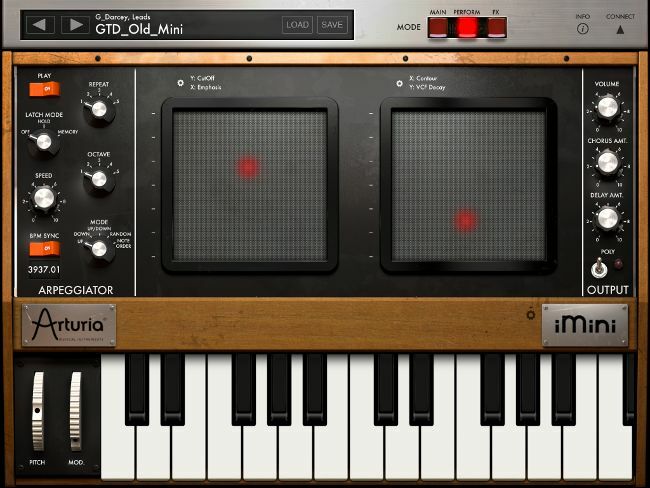 The iMini is by far the most powerful and hypnotizing synth app on the market. 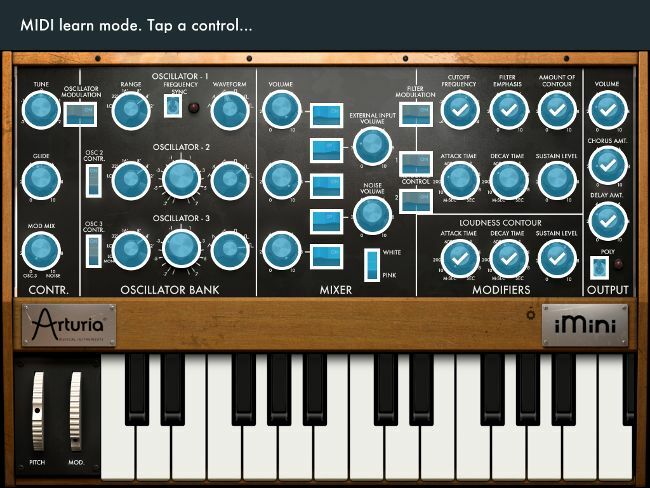 Arturia’s iMini app is a stunning recreation of the original synth. 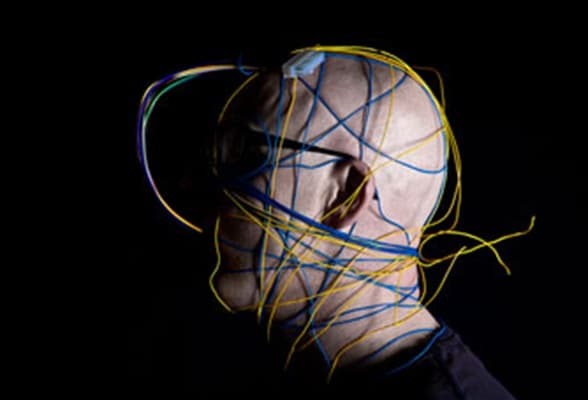 The performance features and arpeggiator add a whole new twist to this already classic synth. I am completely blown away that I now have this on my iPad! As expected from their previous offerings, Arturia have come up with the sound and user interface that bring this classic to the world of iOS in the most perfect way. The sound is superb and it is a joy to use, particularly for an analogue lover like me. The possibilities of an iPad loaded with iMini are fantastic, and I look forward to exploring it fully. Owners of both the iMini and mini V software apps can exchange sounds via iTunes.